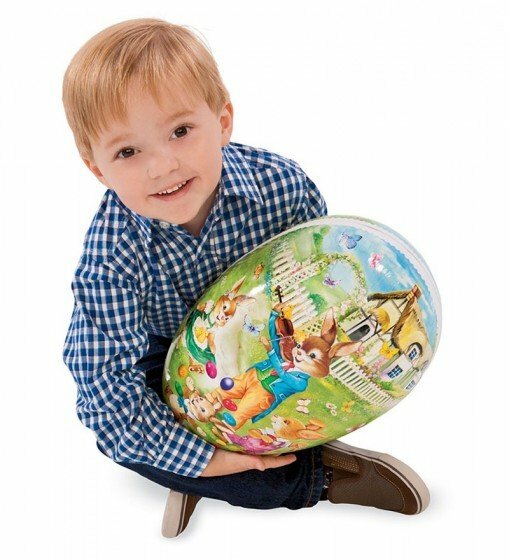 Kids of all ages love waking up on Easter morning to find their Easter basket has been filled with surprises just for them. Skip the pre-made, generic baskets this year and pick out special items that will be well loved all year long. 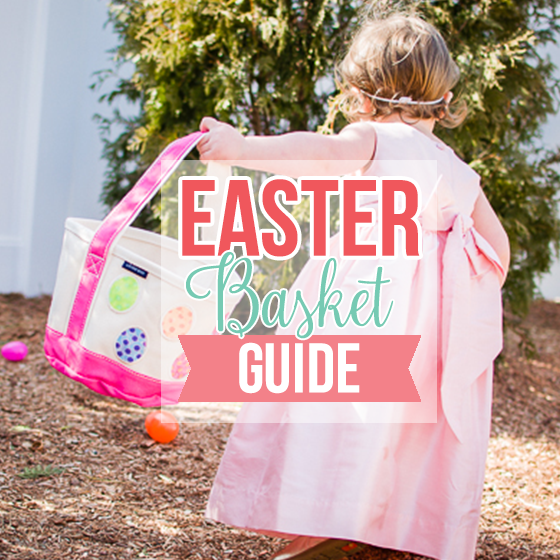 Here are some of our favorite gifts to give this Easter. 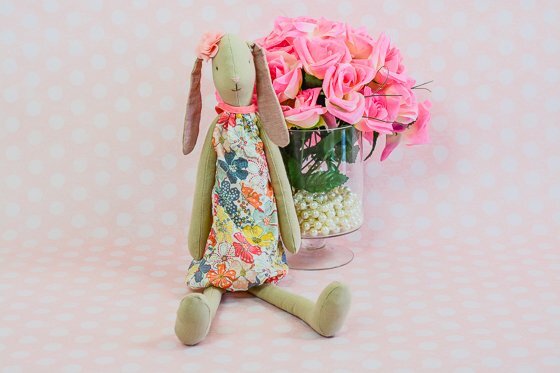 Part of Maileg’s spring line, Bunny Flora is just as precious as the next. At 18 inches long, this little beauty boasts long floppy ears, arms and legs in a khaki skin tone with pastel pink accents. She’s modeling a multi colored floral print bubble dress, delicate bloomers and a simple flower on her ear. Bunny Flora‘s whimsy charm and sweet appeal makes her the perfect addition to your little one’s Easter basket this year. 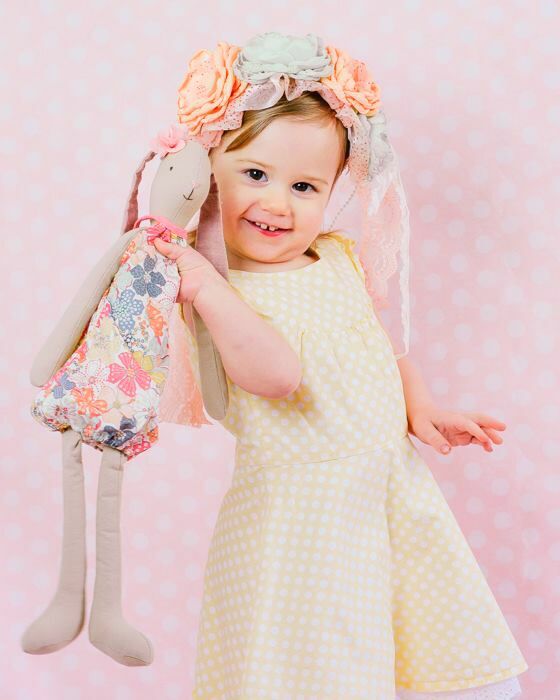 The best part about the Maileg doll lines is that they come in various sizes and styles, and each line features additional outfits, accessories and furniture to add to your child’s collection over time. All Maileg dolls are personally designed in Denmark by creator Dorthe Mailil. 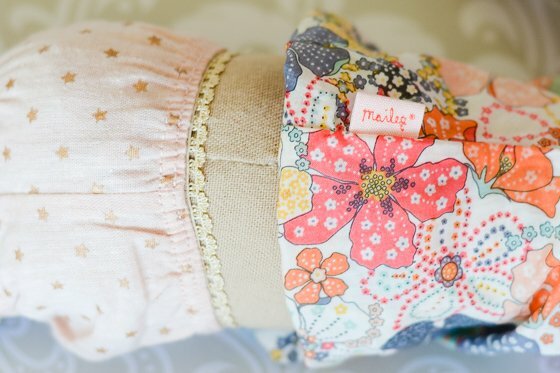 Each doll has its own name and personality, making Maileg a truly special and timeless brand of heirloom quality toys. Each Maileg line and doll is still meticulously designed by Mailil herself to this day. She spends her days dreaming up and creating beautiful, whimsical toys that will inspire creativity and open the minds and imaginations of the children who play with them. Maileg toys are designed with touches of old fashioned Scandinavian and French looks, and the fine details of each doll are hand knitted and stitched with pride. The beauty of Maileg is that each doll has its own name, style and personality. 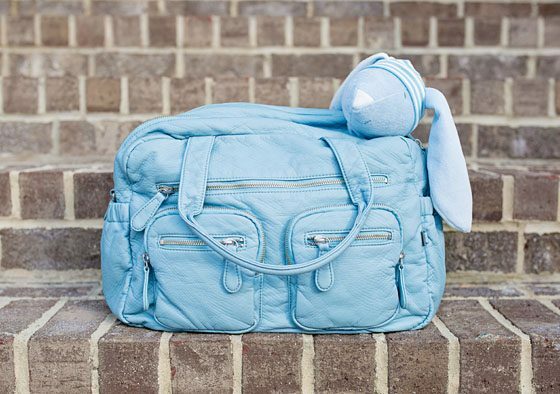 Hop along the bunny trail this Easter with OiOi’s new, bold pastel carry-all bag in Corydalis Blue Lizard that could easily be mistaken for a yummy jelly bean. 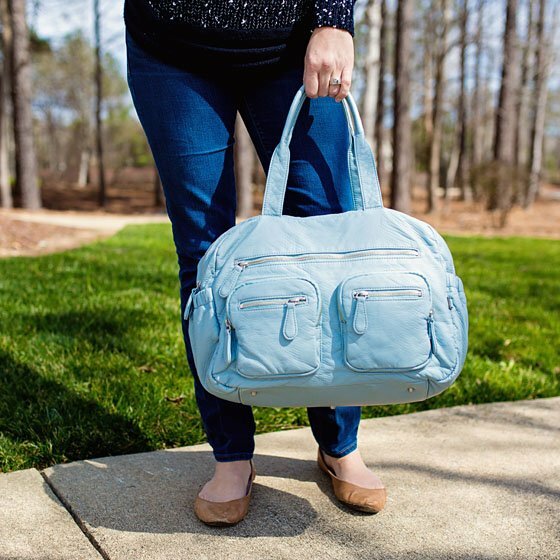 You’ll easily be the most stylish mom at every Easter Egg Hunt when you trade in your winter-worn diaper bag for this sweet taste of spring. 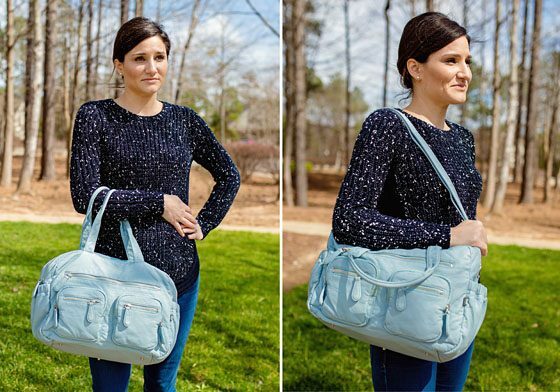 And, your friends won’t believe that the bag you?’re carrying is dedicated to diapers, wipes and sippy cups. We love this carry-all design for a variety of reasons, but we especially love its spectacular design, vibrant fabric, and functional style that is like no other. There are plenty of pockets to keep all of your gear (and your child’s treasures) nicely organized, two sections on top that zip close to keep everything securely inside, stroller straps, a changing mat, an insulated drawstring bottle holder, a small wet bag for transporting soiled items and a hardcover wipes case. It’s roomy in all the right places without being overly bulky, which is perfect for mom this spring. 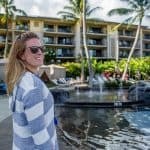 The Water Garden from Back to the Roots is an Easter gift that is truly unique and all around wonderful! We love the Water Garden as an Easter gift because Easter and spring time is all about new life blooming. 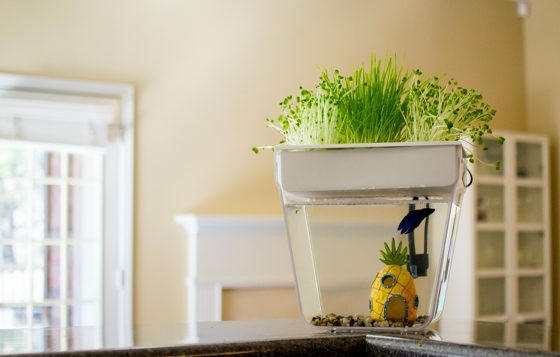 Get some life blooming in your home with your kids as you bring home your own betta fish to join the family and grow a little garden on top of his tank! The Water Garden creates its own little ecosystem between the beta fish and the plants. Worried about cleaning a fish tank? Thats not an issue as the tank is self cleaning. The water is filtered up to the plant’s roots and the plants feed off the nitrates that are created by beneficial bacteria in the system breaking down the waste from the fish. So the fish gets clean water, the plants get fed and you get to enjoy the plants or herbs you choose to grow. The tank not only functions like a dream, the design is beautiful and you will love having it as a centerpiece in one of your rooms. 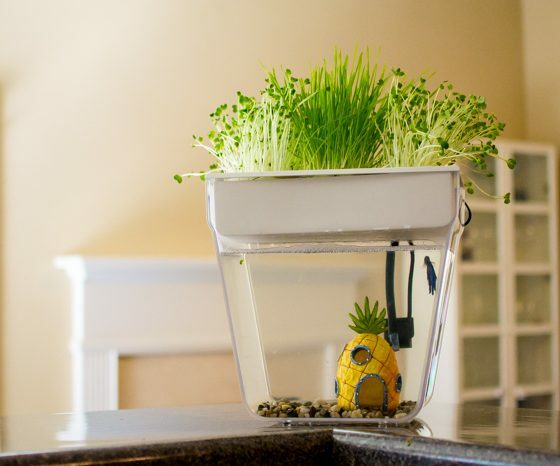 Each kit comes with everything you need to get started, including a coupon for a beta fish! So order a Water Garden today and set it up as an Easter surprise that will delight your whole family and last way longer than any chocolate bunny. Back to the Roots was started by two fraternity brothers who became fascinated with urban farming after learning that mushrooms could grow on spent coffee grounds. From their love for urban farming, a whole movement has begun to Undo Food and return to where our food truly comes from, to get back to the roots! They offer two lines of products: Ready to Grow and Ready to Eat. The Ready to Grow line includes the Water Garden, mushroom farms and gardens in a can or jar. Their Ready to Eat line includes wholesome stone ground cereals. Back to the Roots is passionate about community education and they especially want kids involved in growing their own food! They give kits to classrooms with their Grow one, Give one program and they offer educational resources to teachers as well. We cant say enough about how much we love this company and their mission! 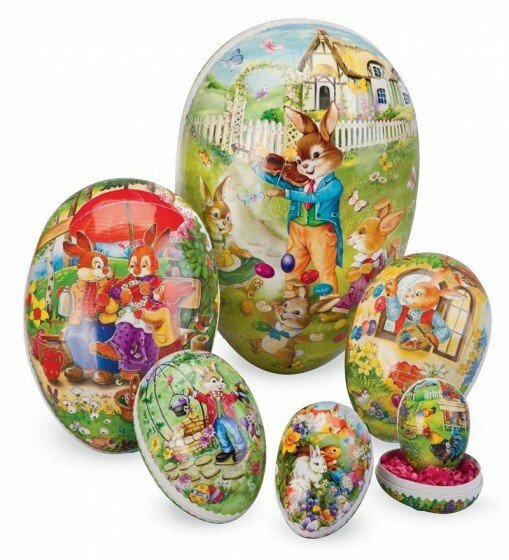 This Easter season, Hearthsong has beautiful decoupage eggs Made in Germany. They will remind of something vintage and lovely you would find at your grandmothers. 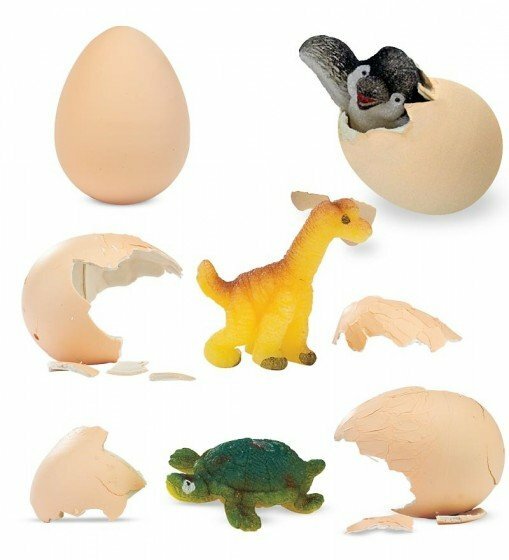 These Decoupage Nesting Eggs will provide endless hours of entertainment for your children. 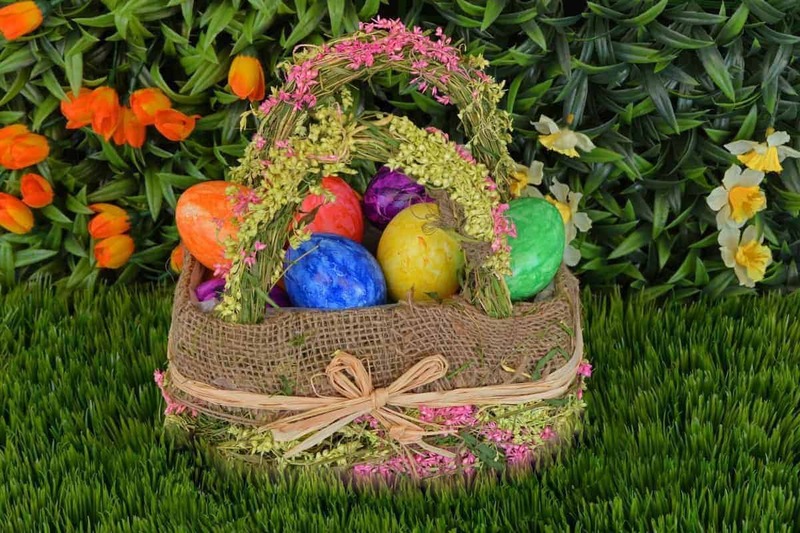 Not only are they beautiful as decorations but the large ones can be individually filled as Easter baskets or younger children can spend their time filling them up with special treasures. These will surely be brought out year after year! 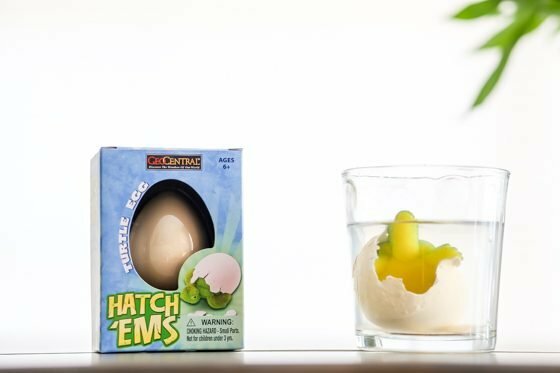 Along with the Nesting Egg, Their Hatch ‘Ems will make the perfect addition to any girls or boys Easter basket. 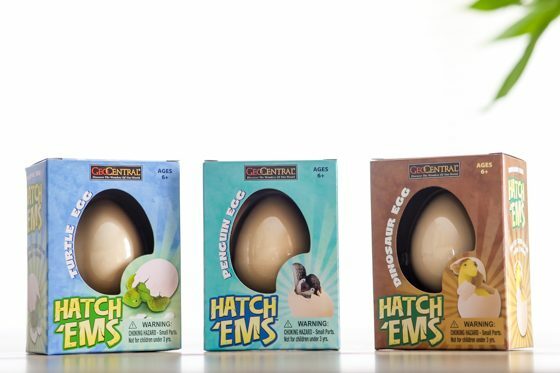 These eggs will bring such joy to children as they watch them slowly hatch into different baby animals! Then when they are done hatching they will even continue to grow in size. Afterwards kids will have little baby animals perfect for playing and taking into the bathtub! Great for young children to play with and fill! 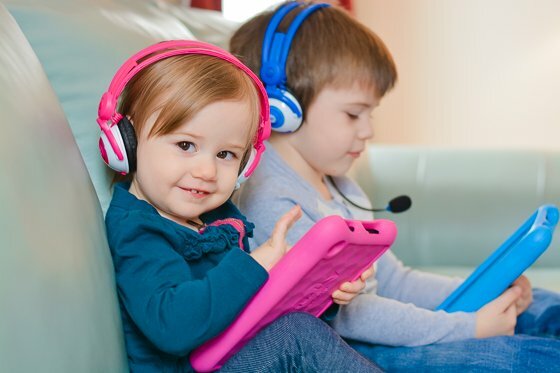 At Hearthsong they believe that your childhood is the most valuable time and that children should be surrounded by toys that are not only age appropriate but also wholesome and high quality. As a company they dedicate themselves to providing products that will ensure that young minds experience creativity and imaginative play. Since 1983 they have been helping parents in following their instincts to choose the best playthings for their children and to date this still holds true! Well their product selection has drastically expanded their commitment to your child’s development remains steadfast. For most states across the U.S., Easter seems to mark the arrival of spring. 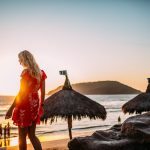 Pastel colors replace sweaters and snow boots in the store, and the world seems alive with new growth and hailing the beginning of spring-time! 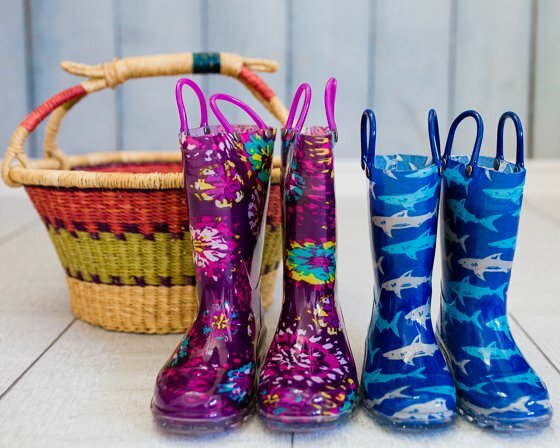 If you’re looking for a fun and practical addition to your child’s Easter basket, look no further than rain boots from Western Chief Kids. Your child will love the fun prints and features, and will likely beg to wear them daily. 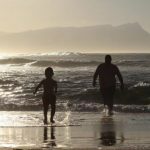 You can rest easy knowing that you’ll be sending your child off to school with dry feet – and they’ll return home that way too! From colorful boots to character boots, Western Chief Kids has a wide variety, and is affordable, to boot (pun intended!) The Kid’s Abstract Bloom Lighted Rain Boots have bursts of fun colors that will match a variety of outfits in her tiny closet. Best of all, these boots light up with every single step! Western Chief Kids has been making quality rain boots to combat tough weather conditions since 1981. 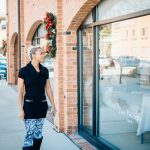 Styles range from whimsical rain boots for kids, to tough and durable boots for the hardest outdoor adult worker. People of all ages and stages love Western Chief boots, whether you are schlepping through the city with a bunch of children, trudging through muddy fields, gardening, or everyday use. Lily Nily’s bangle collection ranges from sweet and fun, to absolutely stunning. The Bow Bangle, crafted of 18k gold plating, features a beautiful pink enamel bow on the front with a push clasp back. 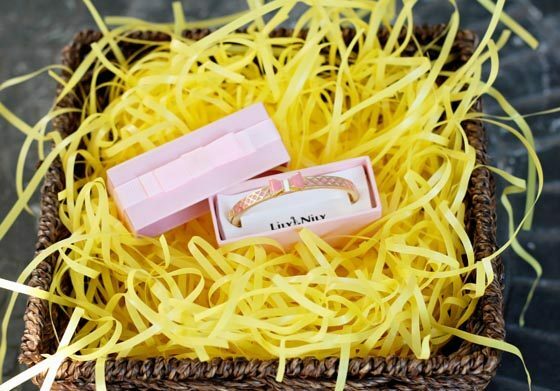 While each bow bangle features various colors, we love the delicate pink, gold, and white detail of this one! Fit for a princess, the Initial Pendant features your child’s initial in pink, adorned with colorful hearts, intricate 18k gold details, and a gold princess crown on top. Each pendant also comes with a matching gold chain. 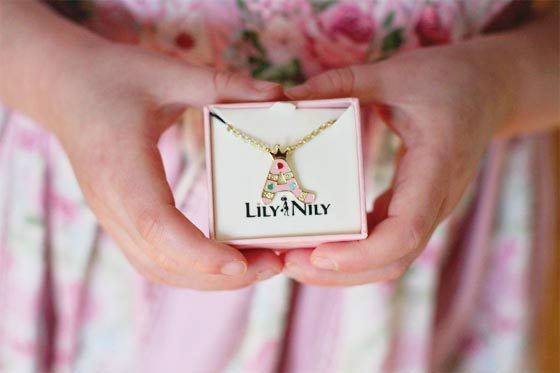 The Lily Nily Collection for girls was founded in the summer of 2011 when two jewelry designing brothers took note that there were few options for quality fashion jewelry for girls. 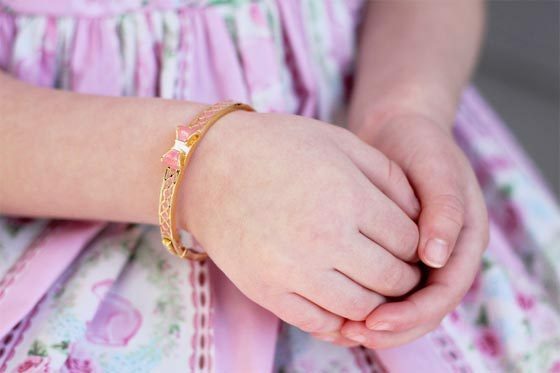 The brothers set out to design sophisticated pieces fit for every little girl — bangles adorned with intricate details, link bracelets, necklaces, earrings, pendants, and rings. 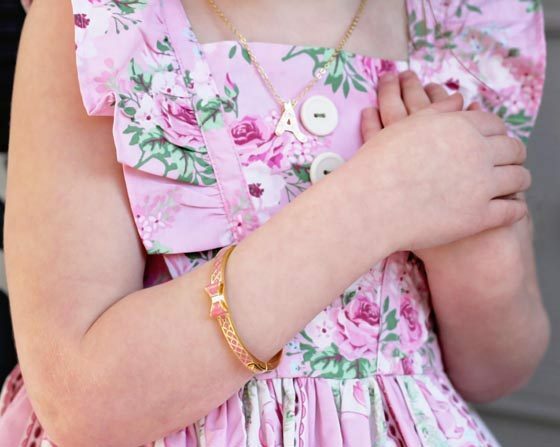 There is no doubt that their jewelry aligns with their motto, “to bring joy to little girls everywhere with joyous, adorable jewelry that offers a wondrous selection of delightfully girly designs.” Which is why we love them! 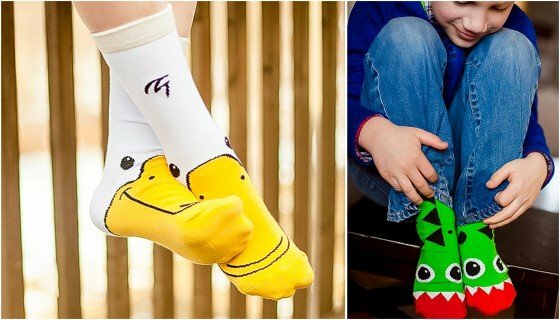 Every kid needs socks, but they don’t need to be boring or worn out. With a Whippersnappers monthly subscription, your child will receive two new pairs of fabulous socks every single month. The designs are instant conversation starters. These socks are high quality and can stand up to the wear and tear that comes from all-day play. 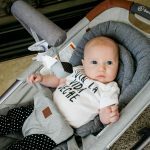 They’re very soft and super stretchy to leave even the pickiest child happy with how comfy they feel. The unique patterns and one-of-a-kind design make these socks a fun gift and something kids will look forward to every month. They can be worn as a matching set, or your child can mix and match! Each month’s designs are a surprise that will surely delight your child. 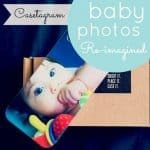 With this subscription, your child’s feet will always be looking their best! The sweet treats in your child’s Easter Basket will be gone within days, but a subscription from Foot Cardigan can last for as long as you’d like . . . and your child’s dentist won’t object to socks. Imagine your child’s excitement when they find out that the socks in their Easter basket are just the first of many deliveries! Pay month by month or purchase a 3, 6, 9 or 12-month subscription. With a 12 month subscription, you get one month free. Foot Cardigan is a company that sends “fantastically fantastic” socks to your mailbox every month. With monthly subscriptions available for both adults and children, the whole family’s feet are about to get “awesomer” and you’ll never have to shop for socks again! They’re a fun company doing what they can to make your feet fancy. Their website is almost as cool as their socks and browsing their FAQ is just as entertaining as it is informational. 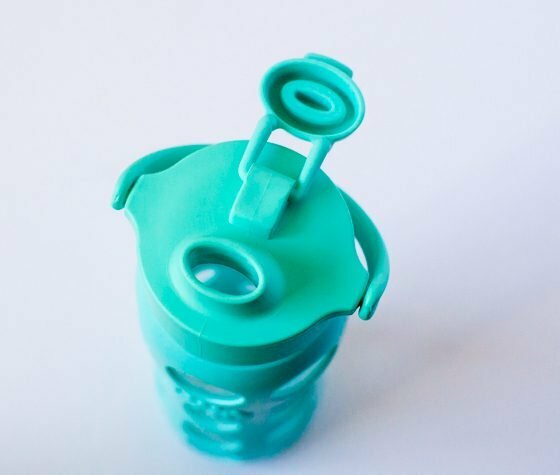 The 16-Ounce Glass Bottle with Flip Cap and Silicone Sleeve in Turquoise from Lifefactory not only looks cool, it functions well and is safe for your kid and the environment. 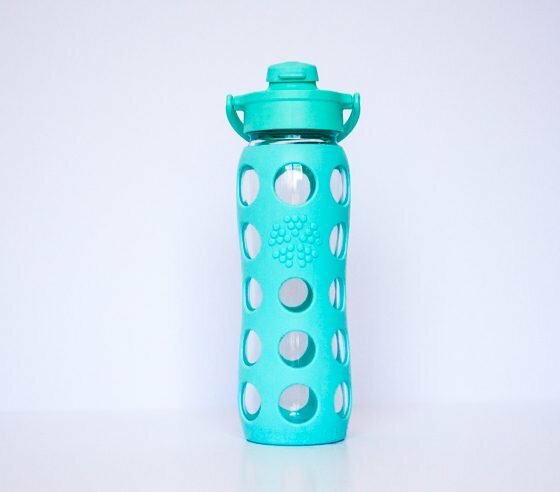 We love the sweet, soothing turquoise color of the silicone that protects the high quality glass bottle. The glass allows for the purest taste without anything leeching into the water. The flip top makes it easy to drink out of and closes to avoid spills. Do you have a tween or teenager on the go or active in sports? You can build an Easter basket that will be loved around this bottle. 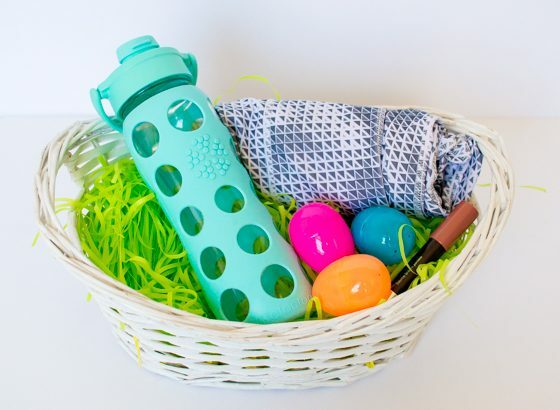 We love this bottle in a basket with lip gloss, and a rolled up new activewear outfit for a perfectly healthy Easter basket for a teenage girl. For the best in bottles, glasses and food storage, you need to know about Lifefactory. Lifefactory prides itself on offering products that are safe and healthy for everyone. With care for the environment always a priority, everything Lifefactory creates is designed to be safe, simple and smart. To keep stuff out of landfills, they design with re-use in mind. You can find something for everyone in your family from cradle to table. You can get wine glasses for Mama and bottles for baby in safe and healthy glass and silicone from Lifefactory. 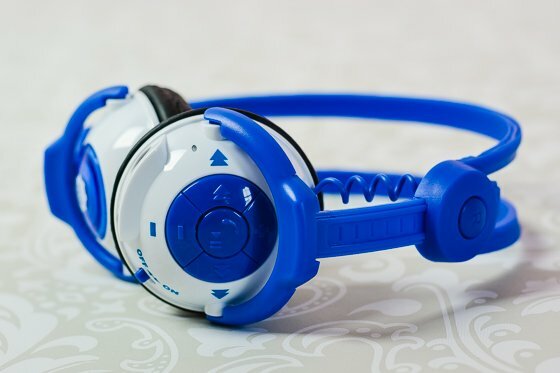 Made with the same quality and detail to design as Kidz Gear’s wired headphones, the new wireless line takes their headphone experience to a whole new level. These wireless headphones are compatible with any device that supports Bluetooth 4.0 (iPhones, iPads, Kindles, Nooks, Android smartphones and tablets). They are built to last and designed to impress. These sleek wireless headphones can also be used as wired headphones with the included cord; and are easily charged through the provided USB cable. They are fully adjustable to provide the perfect fit for your children’s optimal comfort, and can grow with them! 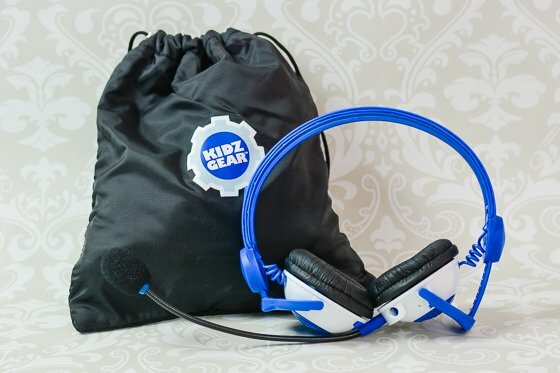 The Kidz Gear Bluetooth Wireless Stereo Headphones are a must for your children’s audio needs. The wireless option is ideal for travel, activities that involve movement, and overall safety. 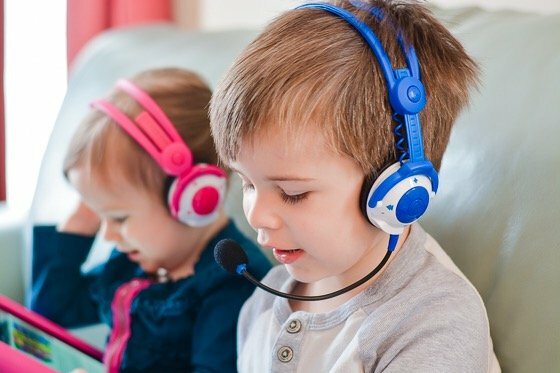 They also include a detachable boom microphone that can be used for language applications, Skype conversations, games and activities. 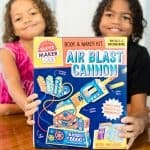 Her frustration from purchasing low quality “toy” versions of adult products (like headphones, binoculars and flashlights) for her children inspired Laurie Peterson to create Kidz Gear. 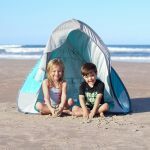 Kidz Gear’s mission is to offer a line of products and accessories for children made with the same quality, performance ability and features as adult products, but at a children’s product price point. Wee Can Too’s Naturally Safe Finger Paint Set for Baby (and up!) 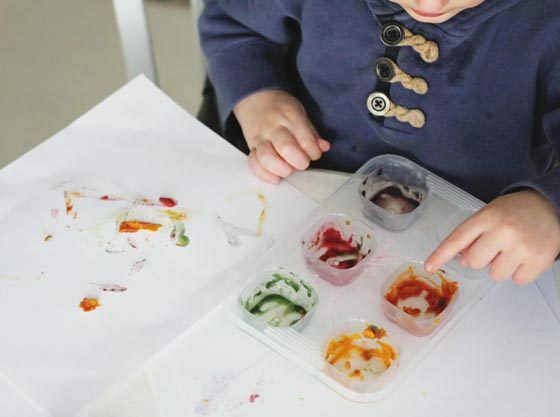 opens up all of the possibilities of your little one’s artistic nature, allowing them to safely explore and play with paints. Each tube contains a veggie and fruit based powder which turns into a fun, edible paint when mixed with water. 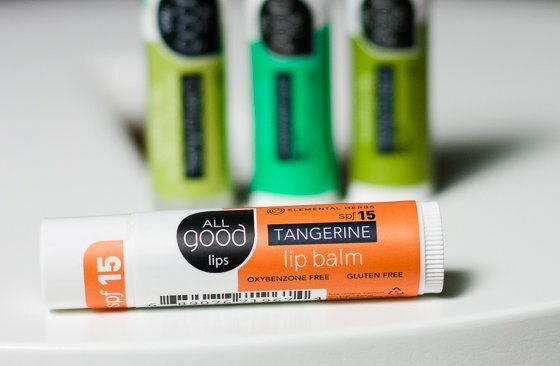 Each tube is all natural, vegan, and contains no wheat, dairy, sugar, or preservatives. Have fun watching your little one explore with a wide array of colors, uniquely made with real blueberries (purple/blue), beets (red/pink), pumpkin (orange/yellow), and spinach (green)! 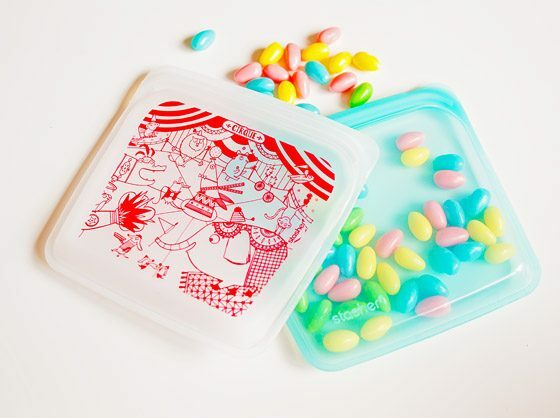 Wee Can Too even makes art on the go a reality with their small set of All Natural Finger Paint Set — Grab n’ Go cups! The small individual cups make painting away from home simple as their size makes it easy to throw in a bag, and when ready to use, simply add water to the cup and watch little fingers get to work. 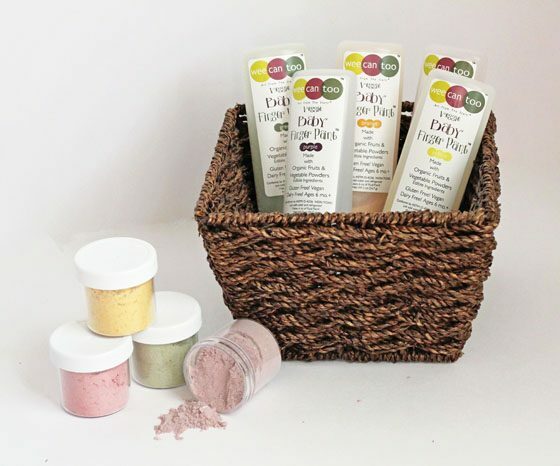 Wee Can Too was founded by Nichole Groat Hamblin who wanted to create a line of safe, chemical free, all natural art supplies for babies, toddlers, and young children. Wee Can Too art supplies are made from preservative-free and non-toxic food based materials such as vegetables — and yes, they are edible! Wee Can Too supplies paints, chalk, crayons, veggie dough, and even Easter egg dye! 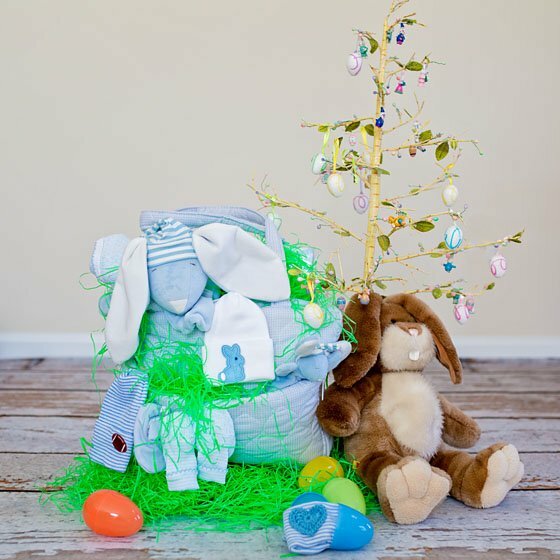 Are you or someone you know having a baby around Easter? 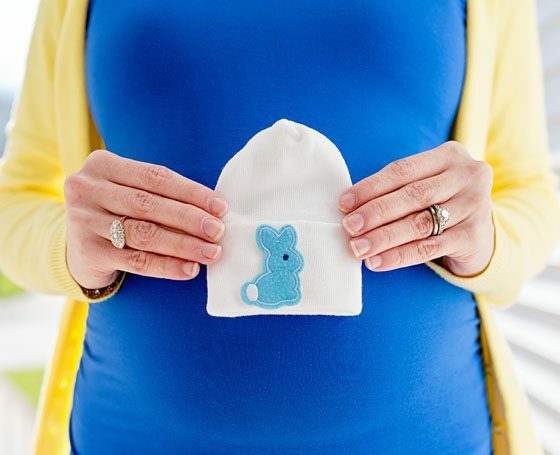 If so, be sure to add one of these sweet nursery beanies by iLYBEAN to their Easter basket (or your hospital bag). 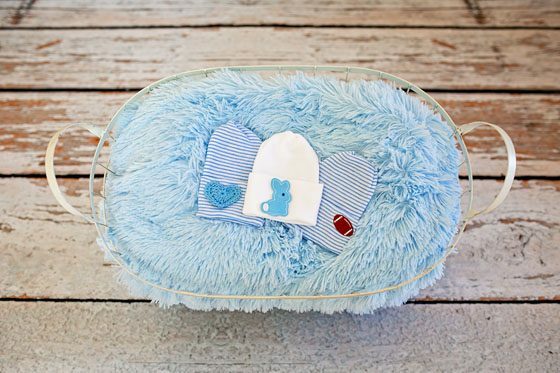 We particularly love the idea of gifting an Easter themed diaper bag with all newborn essentials including swaddling blankets, burping cloths, booties, newborn gowns, a soft bunny lovie and a hospital cap featuring a bunny patch (also available in pink), crocheted heart or football. Not only will she appreciate the extra thought and consideration you put into creating this special gift for her, but she’ll love looking through her baby’s first 48 hour photos and seeing one of your hand-chosen beanies instead of the hospital’s standard blue and pink striped hat. Of course, if she’s having a girl, be sure to check out iLYBEAN’s selection of newborn hats for baby girls. If you’ve had a baby before (or ever seen a picture of a newborn at the hospital), then you’re already familiar with these types of caps. Each beanie is made of 100% authentic hospital hat material, but made with a 2-ply formation that provides extra warmth and is cozier when compared to other hats that are provided by the hospital. 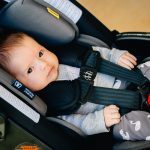 While these sentimental hats aren’t necessary once your baby leaves the hospital, they are much needed in those first few hours so that your child can become acclimated to their new environment. 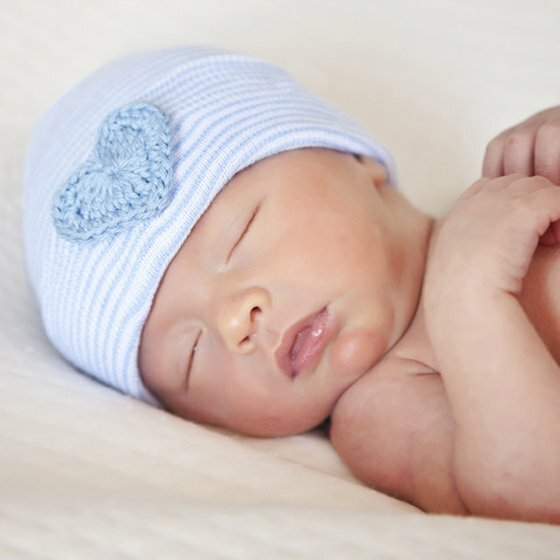 iLYBEAN, part of Melondipity, is a boutique line focused on newborn hospital hats. 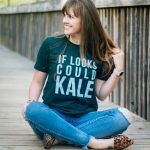 Melondipity started in 2009 with one mom searching for an adorable and unique hat for her daughter and has grown into a family-owned business run by parents – all for their children. Since then, Melondipity has become a nationally recognized name with loyal customers in all 50 states and several countries throughout the world, but they still pride themselves on hand selecting all of their products and making each customer feel as special as the unique headwear they purchase. 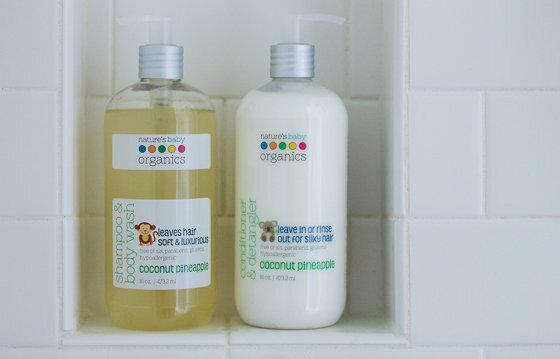 Start your Easter off on a squeaky clean foot, with the bath products from Nature’s Baby Organics. Perfect for sticking in your child’s Easter basket, these products make bathing fun, delicious, and soothing. Use the tropical inspired scents of Coconut Pineapple as you wash and condition your child’s hair, all without harsh and drying synthetic chemicals. After your child is clean, freshen them up further with a light dusting of Organic Silky Dusting Powder, to absorb moisture and keep your child comfortable. Don’t let the “baby” label sway you; these products are made for adults as well! One for all: everyone in the family can use it! 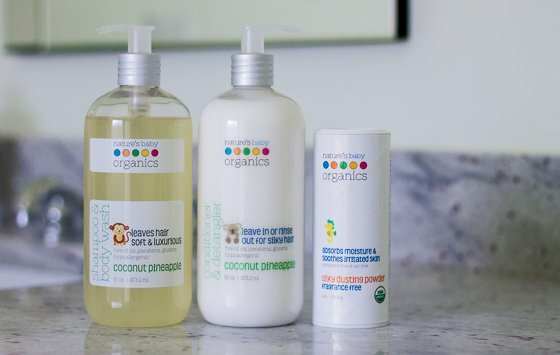 Nature’s Baby Organics prides themselves on not only creating products that contain at least 70% organic ingredients, but on producing skincare items that work just as effectively as today’s leading non-organic competitors. 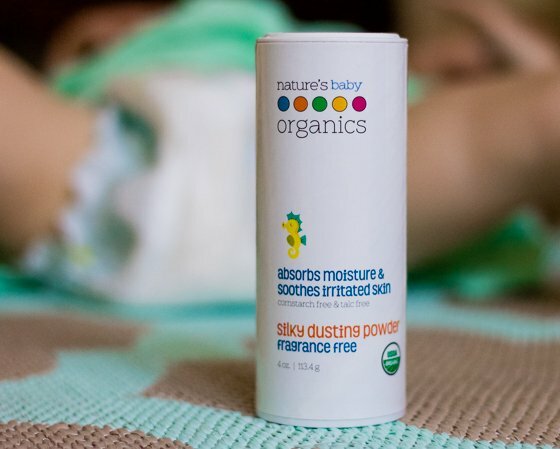 With a passion for reducing the irritants that cause many skin problems in both babies and adults, Nature’s Baby Organics brings their consumers a line of products developed by a mother that are not only effective and gentle, but also fun and fruity! 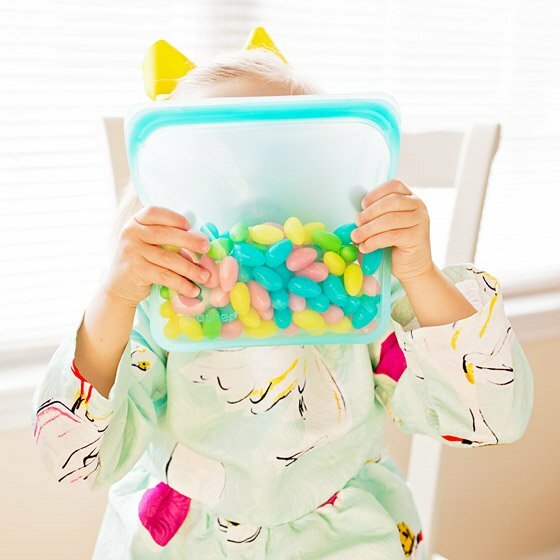 Look beyond the bunny trail this Easter and you’ll find a Stasher storage bag waiting to be used in a variety of ways. From jelly beans to veggies, doctor kits or crayons, these plastic-free bags are easy to use and easy to clean. Your kids will love them and you’ll love that one Stasher can replace hundreds of disposable plastic bags. So, you can save money while you’?re saving the planet. These reusable bags are more than just planet-friendly; they are incredibly practical. The generously sized (sandwich) see-through bag has an easy-to-close Pinch Press design and can be used to hold anything from cut-up veggies to preschool craft supplies. And, its write-on surface works with dry erase markers to make labeling super easy. 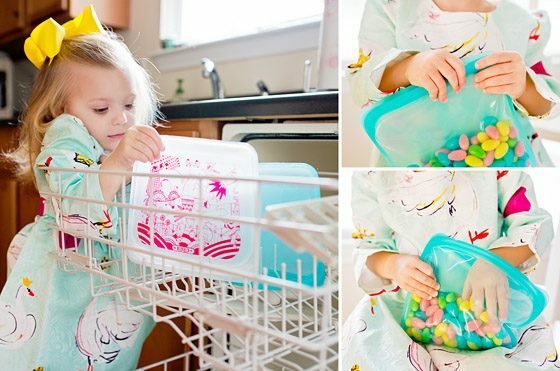 Because this PVC-free durable bag can go in the freezer, microwave and dishwasher, it proves its worth beyond other non-plastic storage baggies. Available in fun prints or cool solids, Stasher deserves a place in your child’s Easter basket. Stasher is a new and revolutionary alternative to plastic bags and containers. Made of 100% pure platinum food-grade silicone, Stasher offers all the ease and convenience of plastic bags, but without the negative consequences. Unlike plastic bags, Stasher contains no petroleum, no PVC, and no latex, so it’s good for people and the planet. Reusable and easy to clean, Stasher is ideal for busy on-the-go lifestyles. 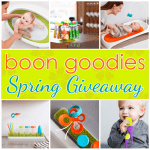 Are you looking for a unique gift for Easter to change up your bath time routine, and to satisfy your kid’s unique hair needs? Circle of Friends has many great options to give your kid’s salon quality hair products and style, that are designed specifically for them. The Bonita family of products cleanses and conditions all hair types. Bonita’s Banana Shampoo helps add lift while still maintaining moisture to even the driest, thickest hair. 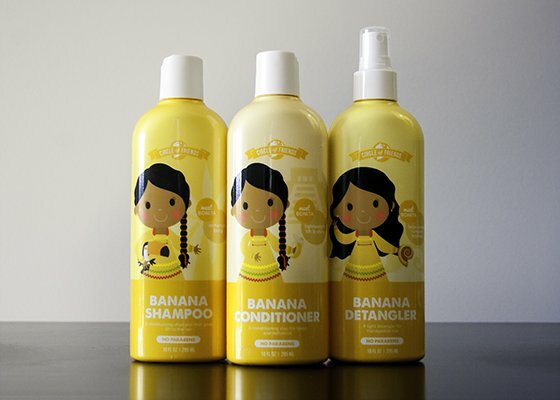 The Bonitas Banana Conditioner then hydrates hair while promoting volume and lustrous shine, and the Bonita Banana Detangler helps you easily comb through tangles and knots to leave hair soft and refreshed. The Pia family of products allows smoothing and quickly detangling curly hair. Pia’s Pineapple Shampoo is hydrating, and helps to remove excess dirt and oil while also conditioning hair. Pineapple and Coconut Extracts contribute to improved frizz control and shine as well as taming flyaways. 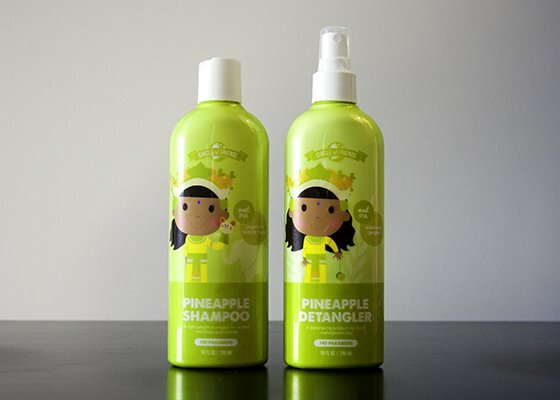 The Pias Pineapple Detangler helps tame pesky tangles. The lightweight formula conditions hair from root-to-tip, never weighing it down or leaving any greasy residue behind; designed for all hair-types, including frizzy, curly styles. The Rosa family of products adds softness and shine to thick hair. Rosas Raspberry Shampoo is ideal for even the thickest hair; this shampoo is formulated with coconut-derived surfactants, aloe, lavender and chamomile to help soften and condition hair. Use in combination with Rosas Raspberry Conditioner to deliver essential moisture that the hair needs. 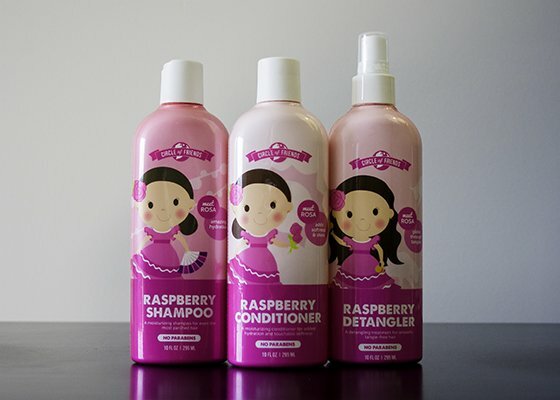 Then utilize Rosa’s Raspberry Detangler to improve hair’s softness and manageability leaving hair tangle-free. The Hans shampoo cleanses and adds volume to even the most delicate hair; this formula cleanses hair of excess oil and dirt. It’s formulated with a soothing blend of aloe and chamomile to help balance while maintaining moisture and shine. Blueberry Extract and Rice Protein contribute to healthy-looking hair. Use the Lucas Lemon Lime Shine Hair Slicker to give hair the shine and style you want. Formulated with Lemon Lime extracts and Beeswax, this lightweight pomade adds texture to the hair without weighing it down. Its medium hold allows you to mold hair while retaining softness. Jacques Grape Hair Jam Texturizing Hair Wax is a fun yet effective hair wax that helps keep hairstyles in place. Use on wet or dry hair, this product creates a soft, flexible hold with a matte-textured finish. It’s formulated to set hair in place quickly while also taming frizz; never dry, crunchy or still. For those days full of swimming adventures, this full line of products will clarify, moisturize and replenish all hair types. 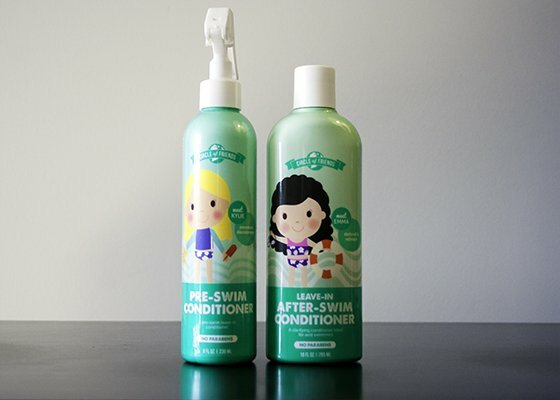 Kylies Pre-swim Conditioner is perfect for using before a day spent in saltwater or the pool. When used before swimming, this leave-in formula helps support healthy looking hair. A blend of plant-based emollients helps maintain hair while vitamins soften and hydrate. Emma’s After-swim Conditioner is perfect for after-swimming, as it helps moisturize and detangle hair. The added antioxidants and vitamins are perfect for use after a day spent in sun, salt water, or the pool. Jojoba and Olive Oil help to replenish hair with moisture. If your preference is to have a product that clarifies and maintains healthy hair, then the Tea Tree family is for you. 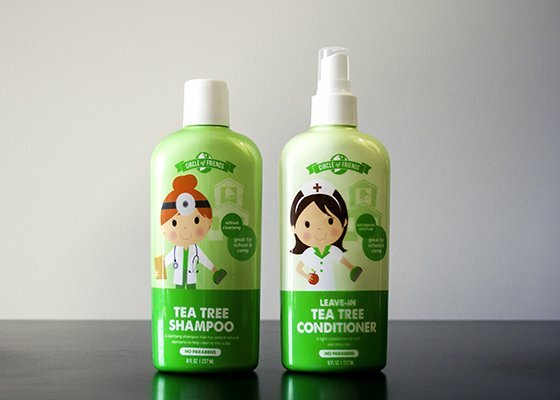 The Tea Tree Shampoo is an effective shampoo that cleanses hair with added moisture. It removes dirt and oil while balancing hair. Botanical ingredients like Tea Tree and Lemon Oil are naturally known to help clarify the scalp, making this shampoo ideal for a variety of uses. Pantheon helps moisturize and soften hair. It contains natural essential oils from Australia and the Amazon region. Then use the Leave-in Tea Tree Conditioner as a conditioning spray to help maintain healthy looking hair and scalp. Formulated with a unique blend of Tea Tree, Lemon and Lavender Oils, this hydrating conditioner delivers moisture to soften hair. 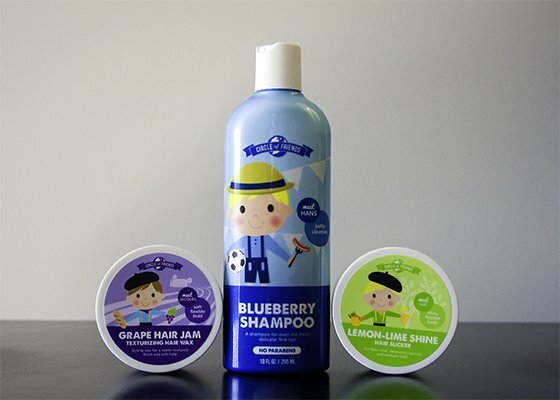 Circle of Friends believes children deserve products designed for their unique hair needs, as well as products that challenge their active minds. To achieve this goal, the brand carefully crafts each product, using only the highest quality ingredients such as exotic botanical extracts and enchanting fragrances, bottling these magical formulas in playful, kid-friendly packaging. Every Circle of Friend’s product portrays a friend from a different part of the world, introducing children to an array of cultures. Colorfully illustrated, each bottle offers a short story, exploring the life of each friend in his or her country, sprinkled with educational facts about their native land and what they do for fun. Each Circle of Friend’s character not only offers a fun learning experience, but also represents a different hair type (thin, fine, curly, coily) and is partnered with a signature fragrance. Every flavor/fragrance addresses the specific need of each hair type, providing mom with an easy haircare solution at bath time, while offering a playful, enriching experience for kids. Easter baskets are perfect for stuffing small items in between the chocolate bunnies and plastic eggs. Whether you’re filling a basket for a toddler or a teenager, lip balm is always a crowd pleaser. 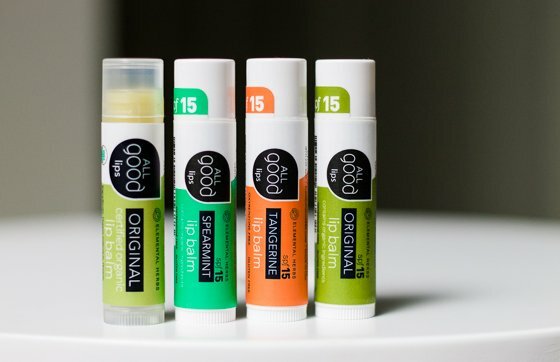 Toss in a few tubes of All Good lip balm in a variety of yummy flavors that will keep lips nourished and feeling great, while enjoying the benefits and peace of mind knowing all the ingredients are natural and pronounceable! What Caroline Duell created in her original All Good Goop, a healing balm made from five medicinal plants known to cure most any skin condition, spurred her to branch out and fulfill the needs of the people around her who requested more versions and other products using this organic and powerful magic potion. Now she offers a wide line of skincare products from lip care to pain relief, all made from plant-based formulas and elemental ingredients that both honor the earth and heal the people in it. We love surprising our kids, and we hope your kids will be surprised when they find their Easter Baskets this year. Be sure to keep checking in with Daily Mom for all our great gift ideas to keep the surprises going all year long.